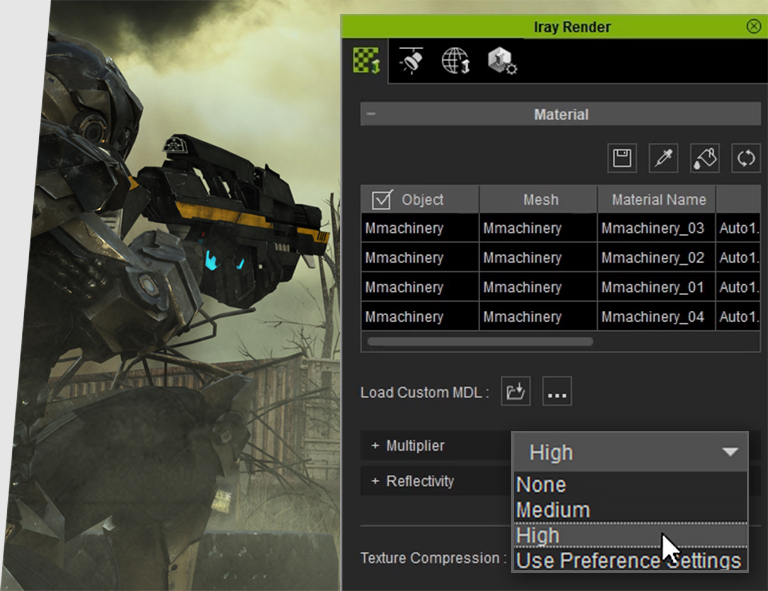 A total optimization of the Iray engine for animation rendering is finally here for iClone. Users can automatically convert iClone real-time PBR shaders to Iray’s MDL material systems with GPU accelerated ray-tracer, achieve unparalleled visual realism with ease and speed. 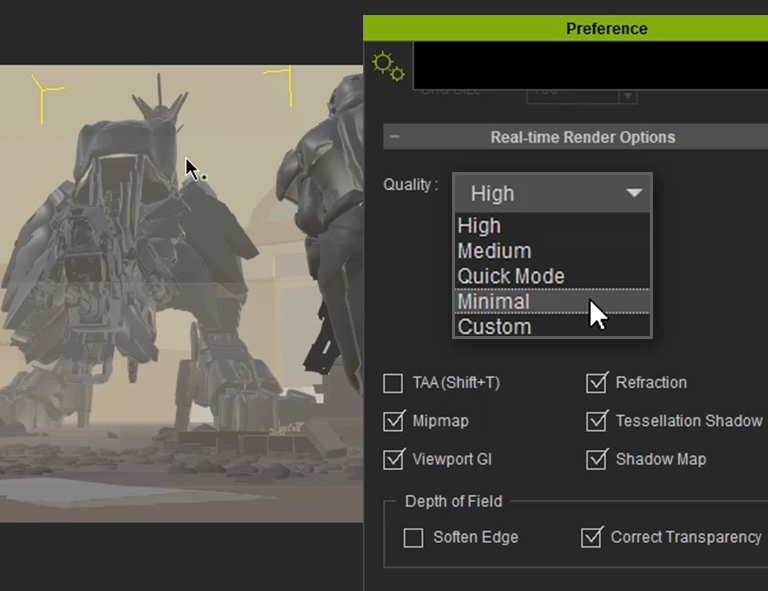 Iray for iClone is highly optimized for animation production. 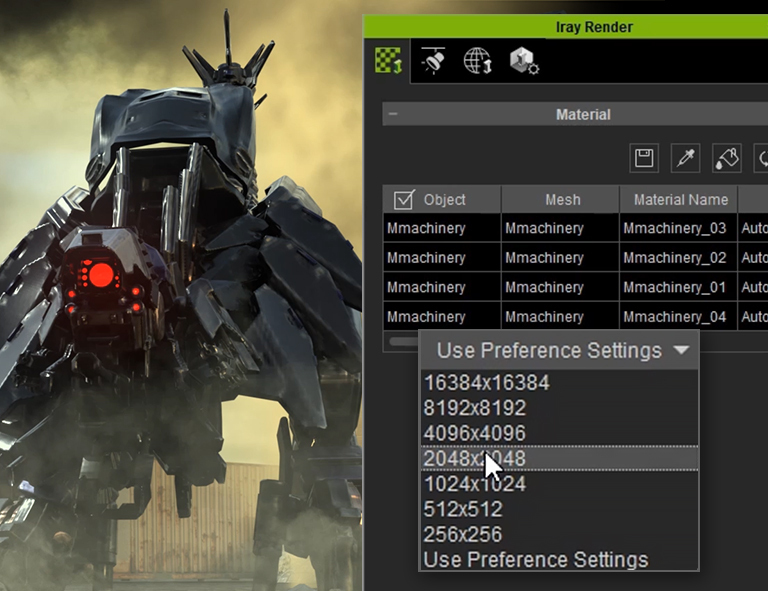 While Iray is rendering, designers are still free to change camera angles, fine-tune materials, adjust objects, and even scrub the timeline without waiting for the whole scene to refresh. 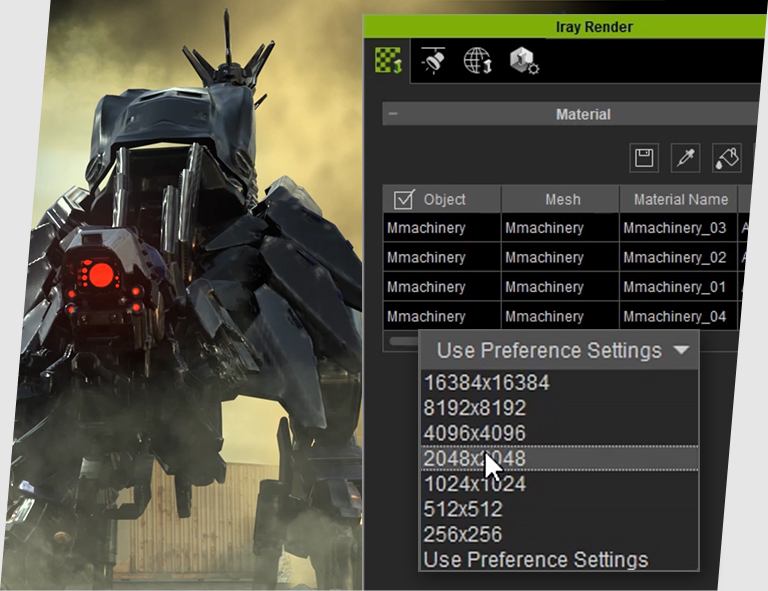 Smart scene cache provides near real-time updates for the iRay viewport while making edits to the scene such as camera adjustments, material tuning, light setting, and object transformations. 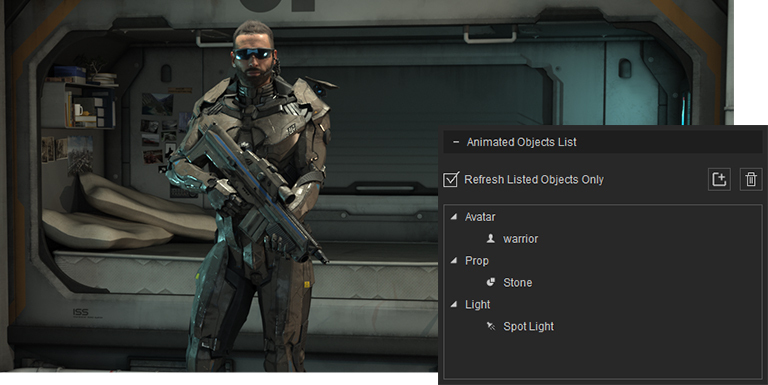 Animated Objects List keeps track of key-framed objects and characters. 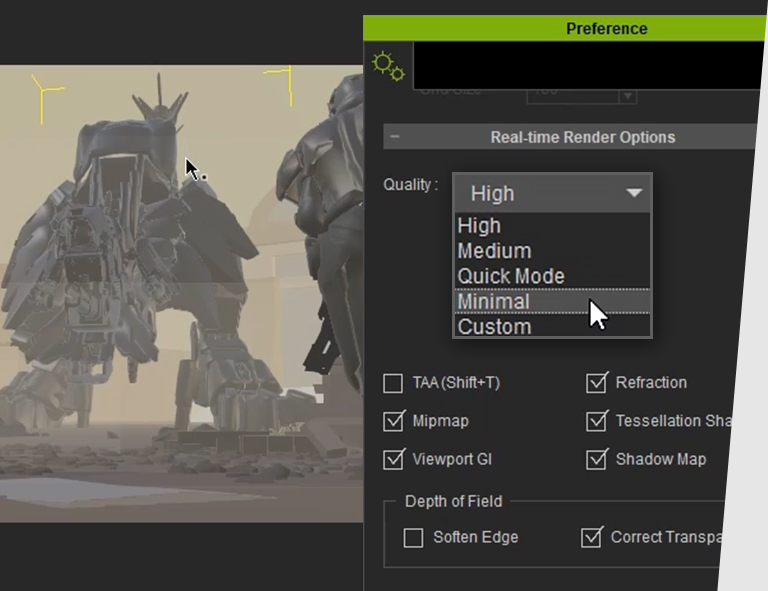 Any object not added to this list will be considered “static” and will not factor in frame change updates for enhanced render speed and reduced MI output size. Release the entire texture memory allocation for the iClone view-port to speed up GPU rendering. 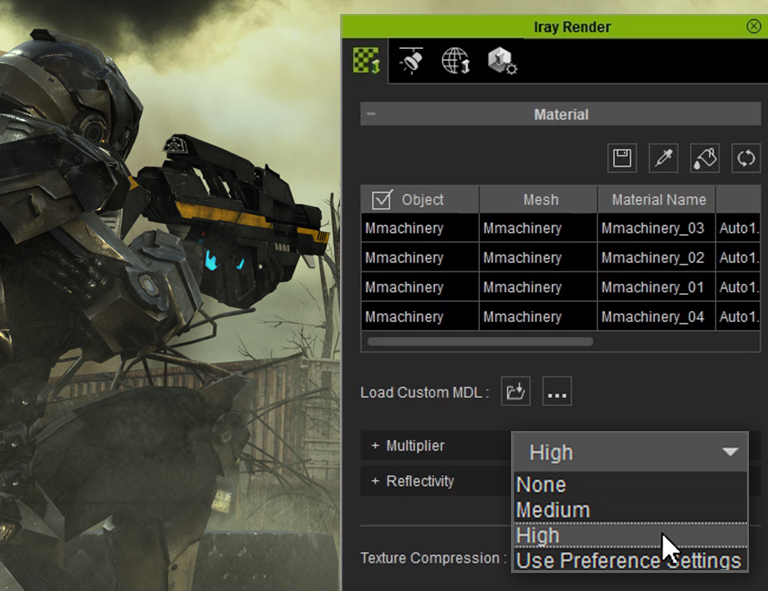 Restrict textures sizes for the entire scene or selected objects and materials with the Max Texture Size setting. Instantly reduce texture memory usage up to 40% without noticeable visual degradation. Experience a reduction of file sizes by as much as 99% for scenes that only animate the camera. 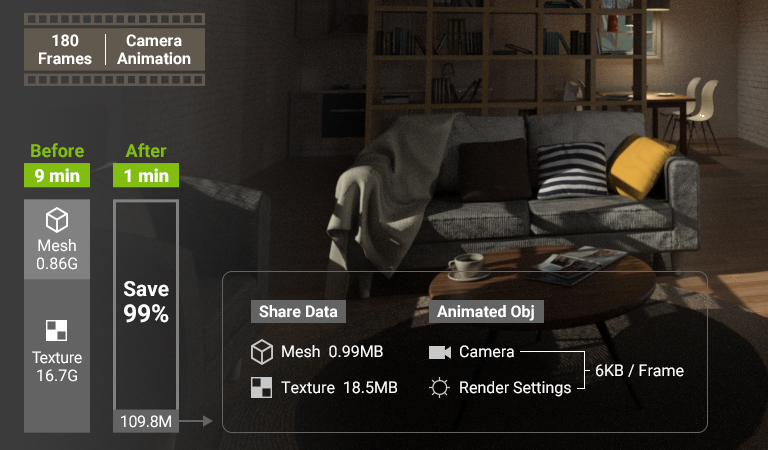 Experience a reduction in file sizes by as much as 89% for scenes that contain character animation thanks to shared texture cache. 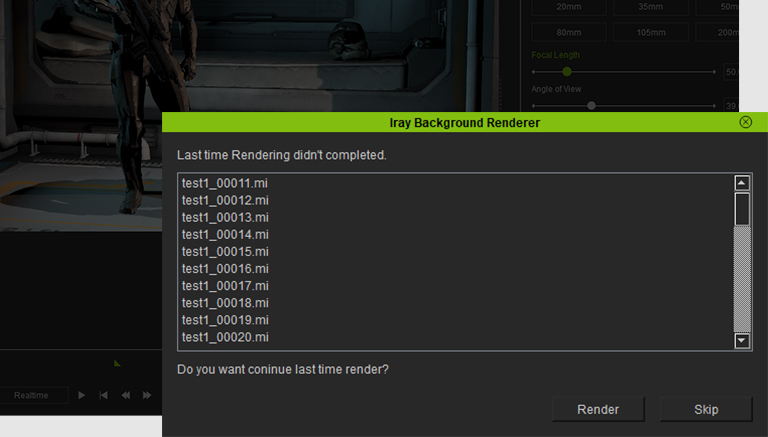 Iray standalone renderer can effortlessly recover from a serious crash and resume rendering from where it left off. Render passes are useful for compositing and post-processing with the likes of Depth, Material ID, Distance, Alpha, Specular, etc. Create depth of field, add smoke in the distance, simulate lens flare and glow, or even alter the lighting scheme. Scene elements: Image Layers, Water, iParticle, PopcornFX. 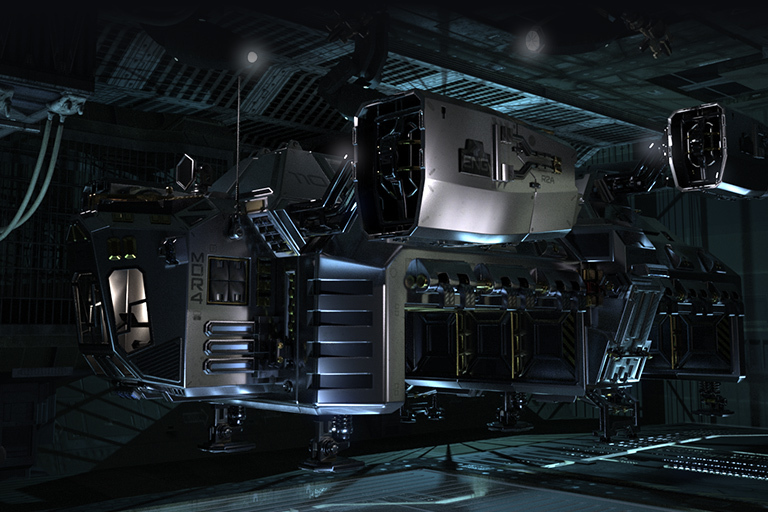 Visual effects: Global Illumination, Shadow Maps, Ambient Lights, Ambient Occlusion, Fog, Toon Shader, HDR, Post-effects. Animation software for digital actors, virtual environments, visual effects with drag & drop editing, powerful physics and easy plug-in compatibility. iClone is designed for creativity in storytelling, broadcast production, education and previsualization. NVIDIA® IRAY® is a highly interactive and intuitive physically based rendering technology that generates photo-realistic imagery by simulating the physical behavior of light and materials. By integrating with Iray, you can deliver photo-realistic imagery directly in Character Creator 3 and iClone. 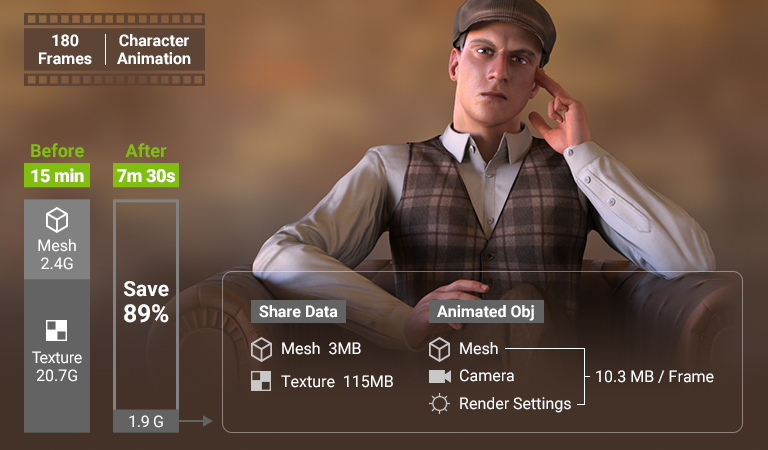 3D Character Pipeline Software Character Creator (CC) can create realistic looking, animation-ready 3D human characters for use with iClone and other 3D tools. Unique character designs are created through the use of shape morphs, customizable high-resolution skin textures, and outfits that can sport your own fabric designs.